INTERMAGNET is the global network of observatories, monitoring the Earth's magnetic field. The INTERMAGNET programme establishes a global network of cooperating geomagnetic observatories. It helps adopting modern standard specifications for measuring and recording equipment in order to facilitate data exchanges and the production of geomagnetic data in close to real time. A large number of geomagnetic observatories throughout the world are members of INTERMAGNET, among them seventeen are from the BCMT network. 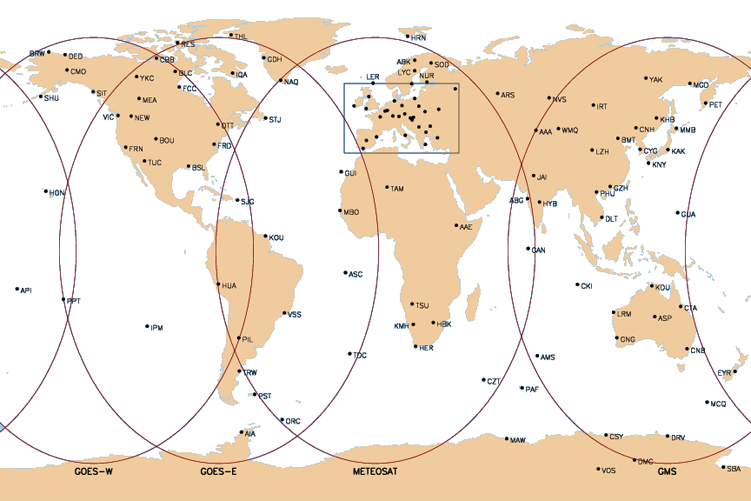 All these observatories send their data to Geomagnetic Information Nodes. In order to become an INTERMAGNET observatory (IMO) a strict set of conditions must be met. These conditions are described in the INTERMAGNET Technical Manual. For more information go to the INTERMAGNET Webpage.